I have always had a taste for the exotic, particularly in my mysteries. This is part of the reason I have read so many crime books that mix genres - historical mysteries, science fiction mysteries, paranormal mysteries... 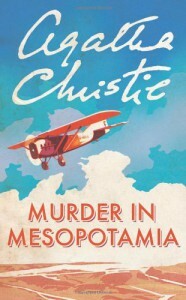 So I have always enjoyed those stories of Christie's that take place in the more exotic locations - it is no accident that Murder on the Nile and Evil Under the Sun are two of my favorite murder mysteries of all time. Having said that though, the backdrop for this story, exotic though it is, is made of cardboard. The same story could, with some tweaks to explain the characters, be told almost anywhere. Nevertheless Christie shines as always at the two things she was always best at - an internally consistent, elegant and perfectly crafted plot, and suspects with real, well-drawn motivations and characters. Christie recreates the tension of a small, isolated community of co-workers with conflicting feelings, passions and desires, and teams it with a clever plot that I certainly didn't see coming before the end. The combination of these two elements create an excellent story, well worth the read.